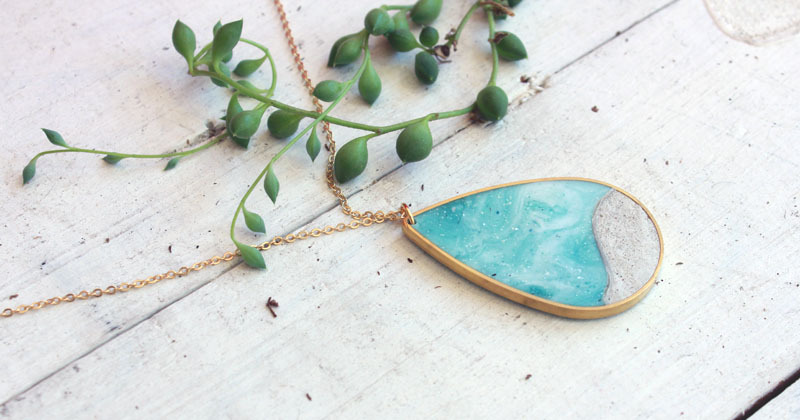 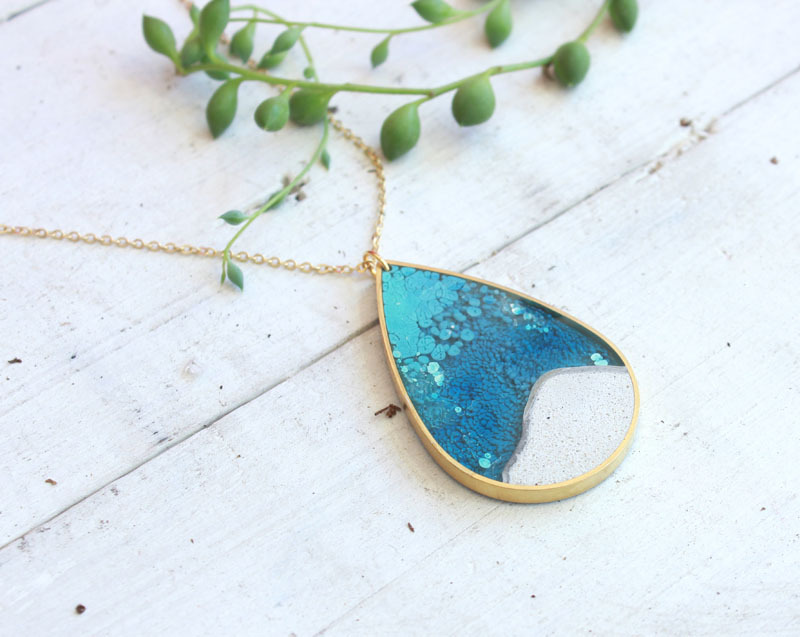 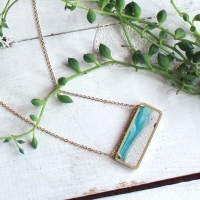 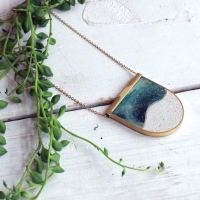 This handmade brass pendant captures the beautiful blue tones and atmosphere of the beach. The brass bezel is made with jewelers brass and the resin is colored in light turquoise blues and white shades. 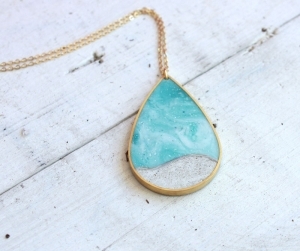 Pendant measures 1-1/4″ x 2″ and hangs from a 30″ gold plated chain. 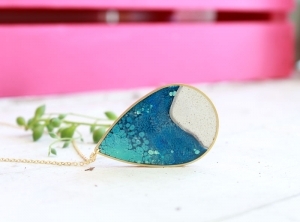 Choose light blue or dark blue. 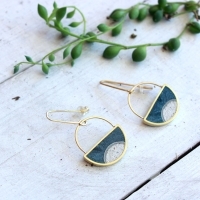 Muro Jewelry "Shore Line Necklace"
Muro Jewelry "Brass U Shaped Moonscape Necklace"
Muro Jewelry "Half Moon Dangle Earrings with Concrete"